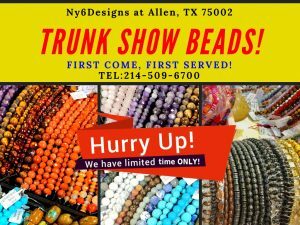 Trunk show beads arrived in store. Limited time and quantity. Don’t miss this chance to get these unique gemstones or findings.